Welcome to the seventh print edition of Whibey Life Magazine. In this issue we celebrate two iconic places on Whidbey Island, one much older than the other. An eight-foot high acre of land floating in the mouth of a harbor might not sound like much of a destination, but Tom Trimbath’s exploration of Baby Island will have you longing to walk its clamshell-strewn beaches. This small bit of land, which can be accessed on foot when the tides are right, has a long and storied history in which rum-running, poker, and impossible schemes play a part. Even if you never manage to set foot on Baby Island, our spectacular scenic photographs and historical snapshots will bring it to your doorstep. The agricultural history of Whidbey combined with our affinity for animals has produced a flourishing population of horses, cows, sheep, goats, llamas, and other “four-footeds.” Writer Harry Anderson and photographer Marcia Wesley introduce you to the folks who care for our working animals, livestock, and barn-resident pets. The stories from our large-animal veterinarians will have you laughing…and perhaps nodding your head in recognition. 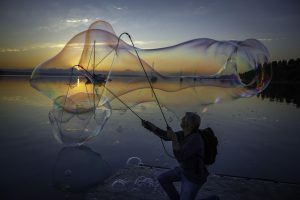 When artists apply their creative minds and skillful hands to what the rest of us might consider trash, the results can amaze. Join writer Kate Poss and photographer David Welton as they follow five artists on a scavenger hunt at that emporium of castoffs, Island Recycling. Along the way, meet the reigning couple of recycling; their perspective on “junque” is sure to amuse you. Is there a style or type of house that represents the quintessential Whidbey Island home? Does the influence of place exert a unifying effect? Or any effect at all? Writer Tom Trimbath interviews four island architects—Stig Carlson, Ross Chapin, Mira Steinbrecher, Matthew Swett—about their notions of residential design and how the spirit of place shapes their aesthetic. As we travel from one shore to another on our ferries, it’s easy to take for granted the sights along the way, to lapse into the habit of not seeing what’s all around us. So we’re especially grateful to our island photographers—their heightened sensitivity to details, angles, perspective, light—who help us refresh our vision and boost our appreciation. In a photo essay on crossing the water, they present our familiar and beloved ferries in a way you may never have noticed before. With the Spring/Summer issue, we mark the first six months of our sixth year. 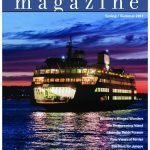 Our print and online magazines, now unified under the name “Whidbey Life Media,” are more closely integrated—and complementary!—than ever before. While the stories in the twice yearly print magazines are chosen for their ability to endure over months, and even years, the stories in our weekly online magazine are selected for their timeliness. The content is fresh, and it’s free! 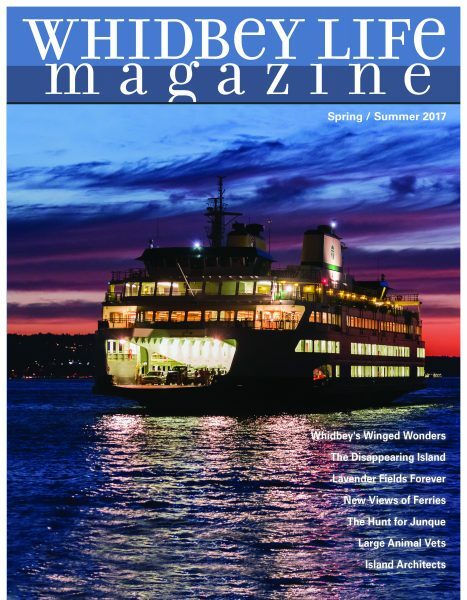 Whether you live on Whidbey or love it from a distance, the depth and range of the online magazine will keep you supplied with a steady infusion of the people, locales, and events that make Whidbey wonderful.